2018 exceptional year for Rwanda’s MICE tourism sector and Rwanda convention Bureau was ecstatic to have hosted 12 SITE Board Members from the 30th November -4th December 2018 who visited the land of a thousand hills for a long anticipated familiarization trip that would help them understand and experience Rwanda’s Incentive Tourism Products and, meet in Rwanda for their annual summit. The attendees of the Summit comprised of the leaders of the Incentive Travel Sector (SITE International Board of Directors and SITE Foundation’s Board of Trustees), with global influence and decision-making positions for incentive and MICE Industry at large. 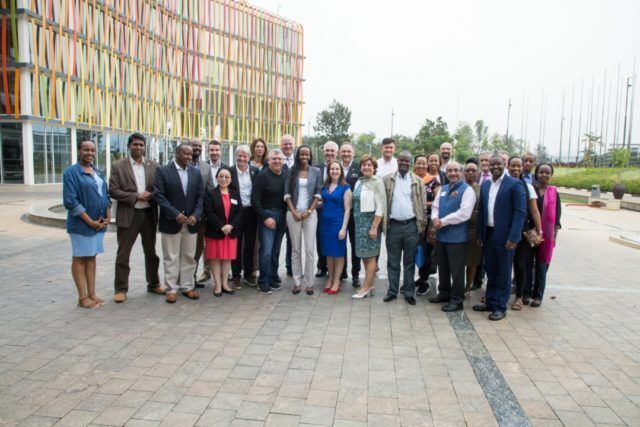 As part of this visit, Rwanda Convention Bureau together with SITE Board were able to co- create an education program for Rwanda’s stakeholders involved in the Incentive market. Overall, we were delighted to have the SITE board members affirm that Rwanda is indeed, inventive ready.